Experiencing trauma can transform a good night’s sleep from a necessity into a luxury. It’s not that you want to struggle with one of the most basic needs in life. More than anything, trauma simply blocks you from restfulness. A lot like a mudslide or fallen rocks block the road, keeping a vehicle from reaching its destination. Trauma and its negative results aren’t easily navigated. But uncovering the ways it affects your rest and recovery can lead you to clues on how to mitigate sleep disruptions. For starters, here are five of the most common sleep problems trauma can cause. When you experience trauma, your autonomic nervous system shifts into overdrive. Activating your fight-or-flight response, it’s not uncommon for your body to get “stuck” in this hyper-vigilant state of being. Not only does this heightened awareness cause stress, but it also makes it very difficult to fall into a deep sleep. Frequently, the slightest sound can wake you up, leading to poor quality sleep. Trauma occurs during both the day and the night. For those who experienced trauma during the dark of night, the lack of light takes on an entirely new meaning. If you identify with this situation, then you understand the fear that comes when the sun sets. Rather than simply being afraid of the dark, you fear what the dark represents. You’ve been taught essentially that bad things happen in the darkness. Feeling incredibly uncomfortable in the foreboding darkness, you may find it nearly impossible to relax and sleep. Even when we humans sleep, our minds are active. In fact, your unconscious mind can become vibrantly engaged during the sleeping hours. It’s not uncommon for traumatic memories or reenactments to surface. And they can be merciless, sending you into an all-out panic attack or waking you up drenched in sweat gasping for breath. Dreams and nightmares can feel so real that coming down from the adrenaline rush they provide has proven to be difficult. Finding sleep after experiencing a nightmare is usually out of the question. If you do manage to rest, it will likely be unsound. 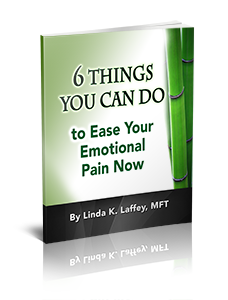 Those recovering from a traumatic experience often deal with chronic pain or tension. Coming in the form of upset stomachs, headaches, or unexplained physical discomfort, you may have trouble getting comfortable. Whether or not your traumatic situation injured your body isn’t as relevant as you may think. Much like anxiety, trauma affects every little part of you, inside and out, from top to bottom. Unsurprisingly, you could feel the impact of trauma reverberate throughout your whole being. And it will usually feel painful or uncomfortable, keeping restful sleep at bay. It is interesting to note that those impacted by trauma struggle with sleep apnea more than the general population. This goes for sleep movement disorders as well. Restless legs syndrome and periodic limb movement disorder fall into this category. Some debate exists about why these ailments plague those who have experienced trauma. Although it’s unclear exactly why this is, your autonomic nervous system could be the culprit. Existing in such a state of hyper-arousal, your body may produce unique physiological effects—trouble breathing, constricted air passages, cramping or muscle spasms—exacerbated during sleep. If you are ready to explore trauma and sleep issues in your own life, I would like to help. Please contact me via phone or email so we can discuss how we might work together to achieve your therapeutic goals as quickly and effectively as possible.